"From brain scans to world classical music premieres, BBC Radio 3 will be broadcasting live from Wellcome Collection throughout the last weekend in September. All tickets are free and are available on the Wellcome Collection website. Why Music? will explore the power of music, over three days of live music, discussion and one-off programmes and events. Both Radio 3 listeners and Wellcome Collection visitors will discover how music manipulates our behaviour, shapes our brains and affects our physical and mental wellbeing, our language, literature and memory. 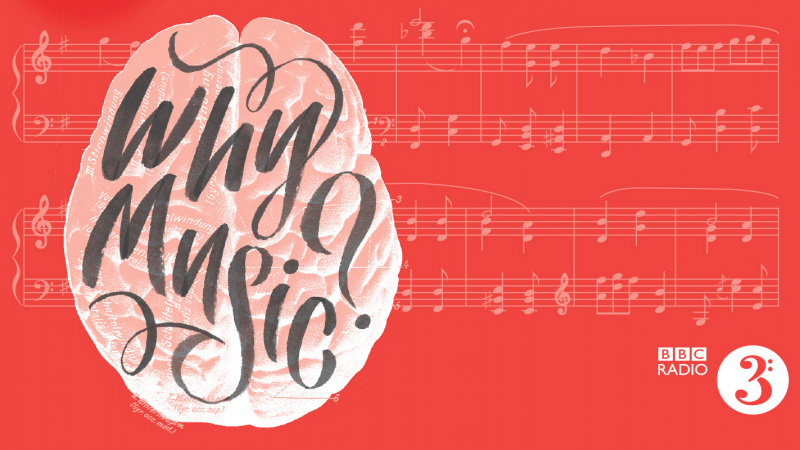 Why Music? will be broadcast on Radio 3 and will also be available on iPlayer for 30 days. As part of Why Music?, BBC Radio 3 and Wellcome Collection will be presenting an all-night world broadcast premiere of SLEEP, Max Richter’s 8 hour lullaby." Max Reinhardt and Radio 1 DJ Gemma Cairney present live performances from Cairney's Body of Songs project, inspired by parts of the body. Soloists from the Aurora Orchestra and Marcus du Sautoy explore there way composers have worked patterns and mathematics from nature into their music. Psychiatrist and concert pianist Richard Kogan investigates how the mental health of the great composers can be heard in their music. Julian Joseph finds out how synthetically produced music and improvisation melds and interacts with human music making. With live performances from leading musicians. Tom Service presents world premiers and recent music performed by soloists from the Aurora Orchestra and experimental pianist Sarah Nicolls. Music psychologist Victoria Williamson and soloists from the Aurora Orchestra explore the role of music in memory. Andrew McGregor talks to wildlife sound recordist Chris Watson to discover connections between the sounds of the natural word and human music-making.